Today we have a guest post from Kath Langrish, author of the ‘West of the Moon’ trilogy, as part of her UK blog tour! 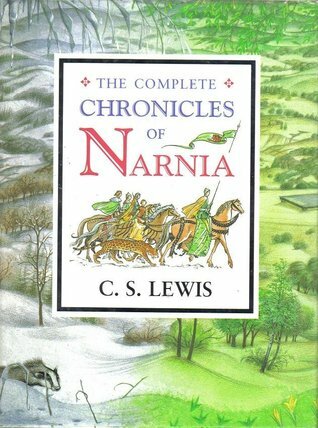 The books, the books – oh, the books of my childhood! I can’t remember a time when I didn’t love reading, didn’t regularly curl up in a big armchair, bury my head in a book and get lost for hours. Aged six or so, I used to read Beatrix Potter aloud to my teddy bears and dolls – even then I preferred her darker stories: ‘The Tale of Mr Tod’, where the baby rabbits are shut in the oven, and those two disreputable villains Mr Tod and Mr Brock fight it out while Peter and Benjamin cower in the ditch below – and ‘The Tale of Samuel Whiskers’, in which Tom Kitten is nearly turned into a roly-poly pudding. I lived in Yorkshire, in an old house, and could easily imagine the secret alley ways of the rats running behind the skirting boards, and up the flues of the old chimneys! A memory from primary school is the weekly ritual of ‘going to read to the headmistress’ in her quiet, sunlit study. Standing at her desk, reading aloud the old fairy story of ‘Briar Rose’ from my book, with real roses nodding in at her window from the school garden, and everything almost as sleepy and quiet as the castle in the story. And then, visits to the library every Saturday, and six fat library books to take home with me! I would gobble them down within the week and go back for more. And well I remember the awful misery of the week I spent in bed with the measles, in a darkened room, forbidden to read at all for fear of damaging my eyes. I read the historical novels of Rosemary Sutcliff, Henry Treece and Geoffrey Trease. I read the Biggles books, Nancy Drew, anything by Enid Blyton. I read Rex Warner’s cowboy stories. I read ‘White Fang’ and ‘The Call of the Wild’; I read ‘The Story of a Red Deer’, and ‘Bambi’; I read ‘Black Beauty’ and wept buckets over poor Ginger’s death. I read most of the historical novels of G A Henty – now unbearably dull and jingoistic. I read ‘The Children of the New Forest’ and ‘Ivanhoe’, ‘The Jungle Book’ and ‘Puck of Pook’s Hill’. I read the Moomintroll books, and Alan Garner, and ‘The Tale of Robin Hood’, and ‘The Coral Island’ and ‘Kidnapped’. I read… and I read… and I read: voraciously, indiscriminately, unstoppably. No wonder I ended up writing stories of my own. I was amazingly lucky to have the time for all that reading, lucky to live in a house where books were treasured, lucky to be taken to the library on a regular basis – lucky to have my imagination nourished by such a wonderful variety of books. What sort of a person would I have been without them? Now that is something I really can’t imagine. 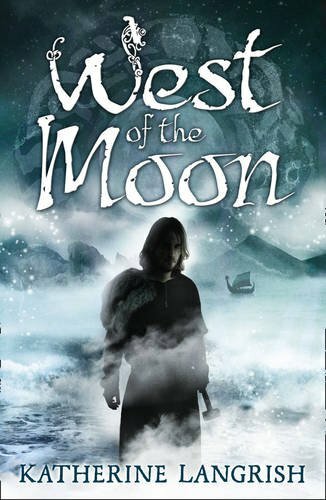 West Of The Moon by Kath Langrish An epic and action-packed fantasy adventure that weaves together Norse legends, shadowy creatures and an unforgettable hero. When Peer is orphaned he is taken by his wicked uncles to live at their foreboding mill in the shadow of Troll Fell. Here he meets beautiful and spirited Hilde and after a terrifying encounter with the sinister creatures who live below the fell the pair form an inseparable bond. They are thirsty for adventure, so when a Viking longship docks at their village, they decide to set sail for Vinland – a mysterious place across the perilous sea. But are the ship’s captain and his sword wielding son really honest sailors? What creatures lurk in the shadows and forests of the new land? And will Peer and Hilde ever return? Thanks so much for stopping by Kath!